BAM is a charitable organisation, and gets it’s funding from membership fees, and very kind sponsors. These sponsors receive space in the BAM newsletter and web site as a thanks for their donations. BAM would like to thank the following contributors Please click on the logo of the spnosors to go to their website. 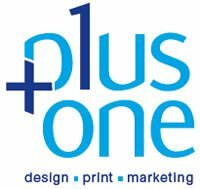 Pl us One a small agency based in Solihull with 15 staff and we specialise in providing a quality marketing service within the licensed trade and have done so for over 20 years. We’re constantly researching the industry and looking for ways and ideas to utilise with our customers to help them market their businesses successfully. Aquaflame are local gas & central heating engineers in the south Birmingham & Solihull areas. We are able to provide advise, design, installation, servicing, repairs and safety checks in all areas of central heating and gas services for domestic properties, ensuring that your gas and central heating systems are operating safely and efficiently. 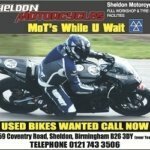 Sheldon Motorcycles is not just a sales showroom but also boasts a service department which has an enviable reputation for providing a very high quality service at affordable prices. Our fully equipped service facility is manned by trained technicians who specialise in a wide range of repair and testing services.